Ship your laptops, keyboards and tablets safely. Boxes are manufactured from 200#/ECT-32 corrugated. 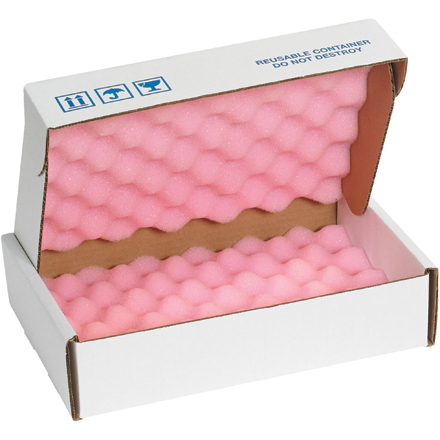 Foam shippers arrive with anti-static, convoluted foam glued to the top and loose on the bottom. Manufactured from 200#/ECT-32B white corrugated. One-piece carton folds together in seconds.